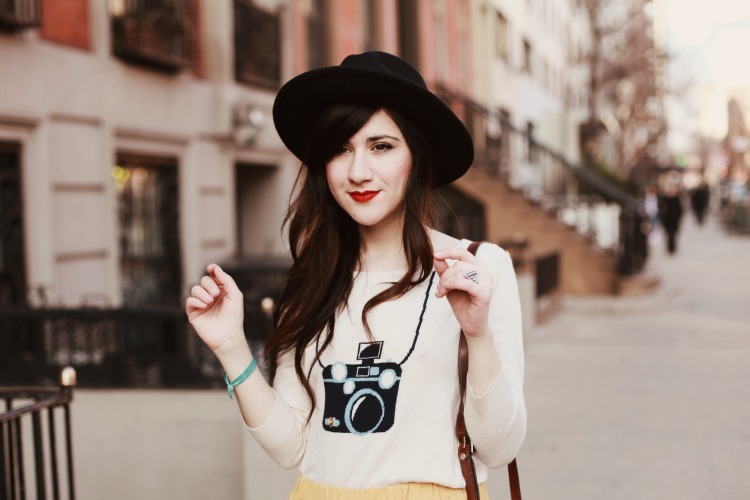 I really couldn't resist this adorable camera sweater from Onze. Rarely do I leave my apartment without a camera handy to snap photos, so of course I wanted this sweater to remind me of the hobby that I am so fond of. I was feeling a bit playful so I paired it with these fuchsia loafers and canary yellow skirt... can't wait to rock these colors in the springtime! Anyway, hope you all are having a fantastic Friday. its a great sweater and while it reminds you of so much you did a great job to buy it!!!! cant wait to see another post with it and with the yellow skirt!! 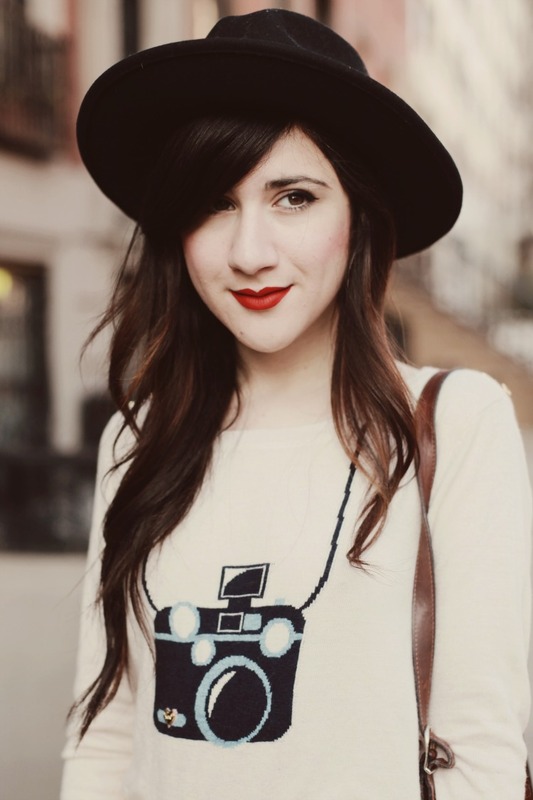 That camera motif jumper is super cute! that sweater is TOO adorable! NEED! Just love your style so much! I love your look so much!!! your tights are sooo cute! you always manage to find such cute pieces! Super cute jumper and your skirt is adorable! Love the outfit! The last picture is so beautiful! Sounds like me... I love this sweater! i wouldnt be able to resist it either, love it!! you look so cute!! what a cute sweater!! loove that sweater and the tights are adorable! yes, oh my. i can't imagine live without camera. it must sux ! I love this outfit. Such a cute sweater! You da cutest! I wouldn't mind one of those sweaters for myself, actually. would you be interested in winning a blog presentation? love this! Thank you for the inspiration!! that sweater is the cutest ! love it ! you look adorable as always ! Your BoutuqueOnze Camera jumper Romwe skirt and heart hosiery combine for a beautiful outfit that brings a smile to the lips :) You have fantastic taste and your outfit is adorable! this is such a cute outfit! Your camera sweater really is super cute. I adore your heart knee tights and tassel loafers too. Very very cute outfit! This is a fun outfit! (: Very cute. What a cute scoop of delightful you are! I adore this look! That jumper is adorable! Love the camera motif. Looks great with the yellow skirt. So lovely and attractive black outfit. Great dear. Please, check out my blog! Giveaway necklace!!! The hearts make this adorable. so stinkin cute - as always though! i love love love the way u did ur lips....so cute. You are such an adorable little doll! Love those stockings!